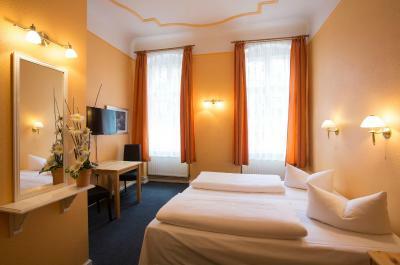 Lock in a great price for Hotel am Hermannplatz – rated 8 by recent guests! 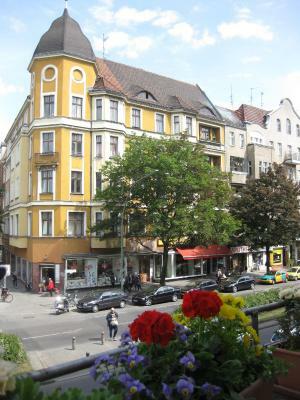 Had 2 rooms booked for a group of 4 friends to experience Berlin. Hotel has excellent value for moneay ratio. 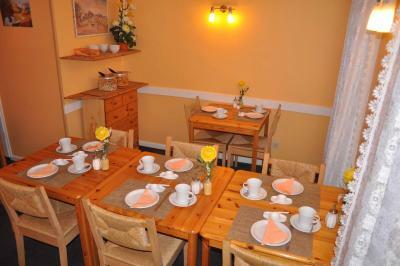 Very clean, staff very friendly, bathroom in very good condition. Would definetely book this again. The staff was superb. Cleanliness was superb. 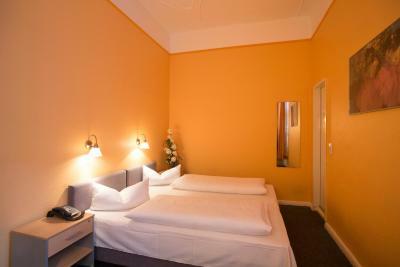 Everything was gr8 and i couldn’t belive to recieve such facilities with so low charges. Close to the venue I was attending Friendly welcome The place was clean and spacious and the bed comfortable. The staff were super-helpful. We booked very last-minute and needed somewhere safe to park our car. The lady at reception let us into the locked courtyard as soon as we arrived. Breakfast was delicious, fresh and plentiful. Bed was clean and comfortable. 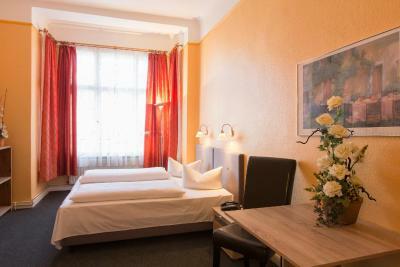 Be prepared to climb stairs, as the hotel takes up the upper floors of the building, but this is a small price to pay for this most pleasant oasis in the bustling city. 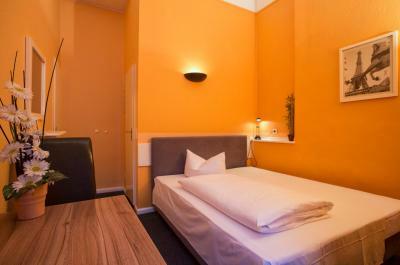 Simple, comfortable, freshly renovated hotel in Kreuzberg. 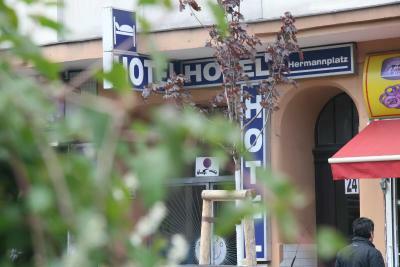 I booked the hotel for it's location, near to a planned pop concert and also the Berlin parkrun. 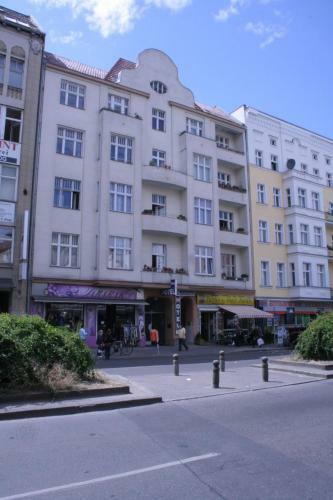 It was close to a U-bahn train station which made travelling around Berlin easy. Eurosport being available on the TV was very convenient whilst the Giro D'Italia was being held. Even kept up to date with the News in English. 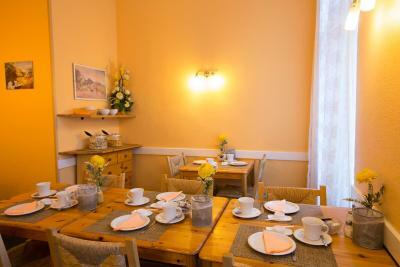 Pleasant and helpful staff, nice breakfast facilities, accommodation was clean & bed was comfortable. 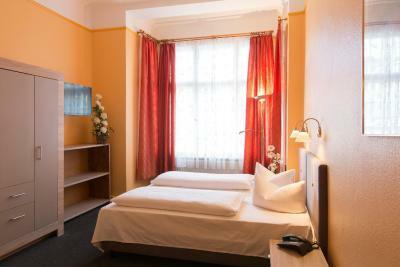 Hotel am Hermannplatz This rating is a reflection of how the property compares to the industry standard when it comes to price, facilities and services available. It's based on a self-evaluation by the property. Use this rating to help choose your stay! 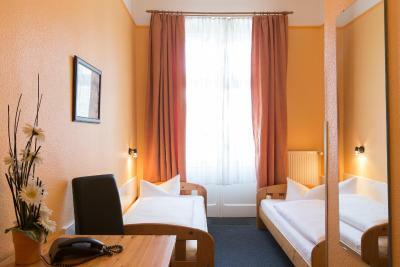 This small hotel in Berlin's Neukölln district offers bright rooms with free Wi-Fi and excellent transport connections. 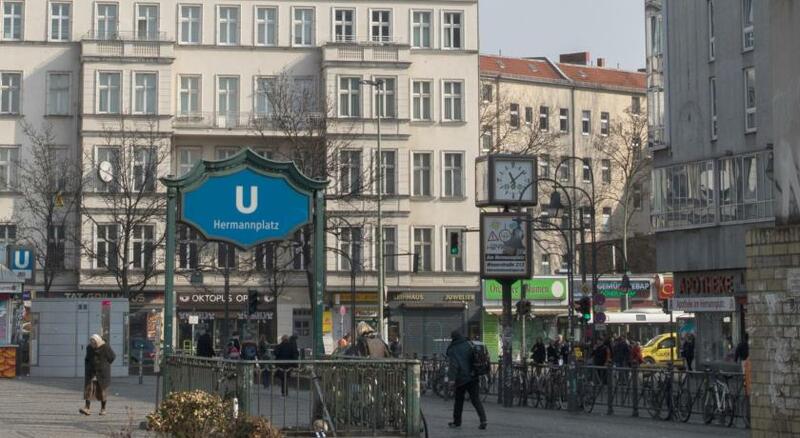 Alexanderplatz square is 15 minutes away by underground. 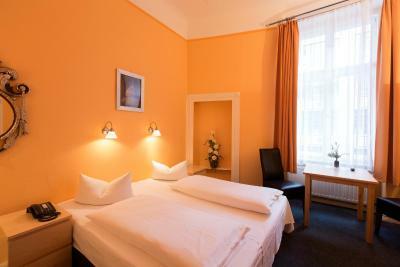 The privately run Hotel am Hermannplatz is a 5-minute walk from the lively Hermannplatz square. Several busses and U-Bahn (underground) lines U7 and U8 stop here. 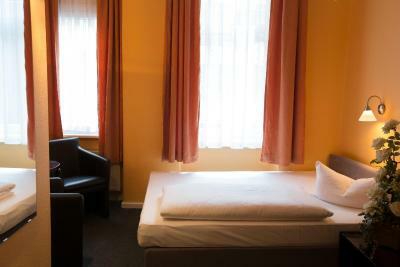 The hotel's individually furnished rooms all come with private bathrooms. 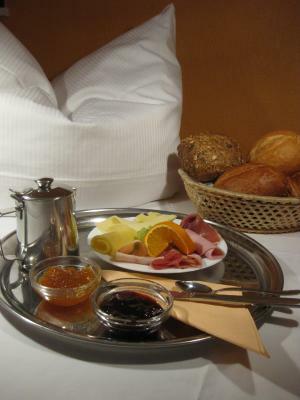 A varied breakfast is provided by the Hotel am Hermannplatz for an extra fee. This is also served in your room on request. Many shops, supermarkets, and cafés are located near the Hotel am Hermannplatz. 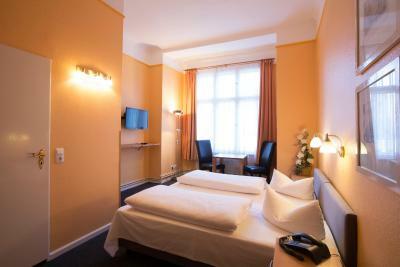 When would you like to stay at Hotel am Hermannplatz? 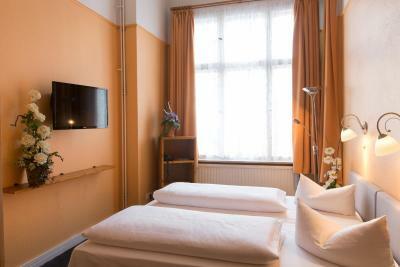 Furnished in functional style, the room features cable TV and has an private bathroom with a hairdryer. 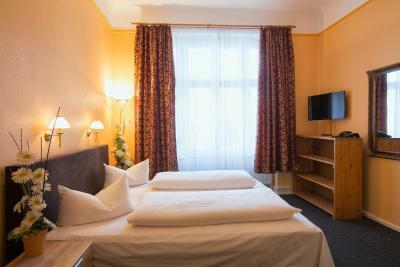 House Rules Hotel am Hermannplatz takes special requests – add in the next step! 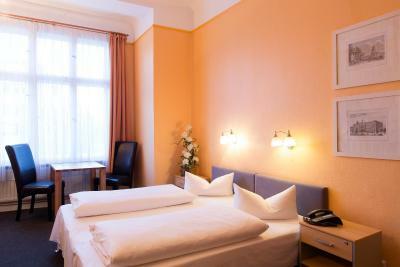 Hotel am Hermannplatz accepts these cards and reserves the right to temporarily hold an amount prior to arrival. You can hear when the shower is being used in other rooms. Friendly stuff. Close to the subway. 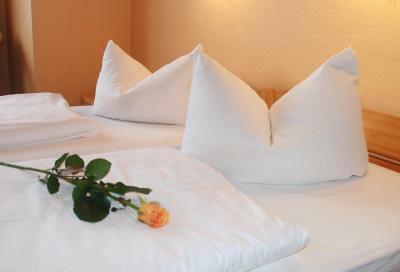 Warm welcome, comfy bed, great location! The step up into the ensuite needs attention, it’s quite deep and the tiles match the carpet with no defining line. I stubbed my toe on it and it really hurt for a while but no permanent damage. The push button on the toilet cistern kept sticking and the shower doors leaked. No tea or coffee making facilities. The fact I had to unlock three different doors to get to my room was a pain too. The towels were not clean. The room air quality was really bad. The price is really high for what I got. Think I'm getting used to having tea/coffee making facilities in hotels.